Sydney, via-Byron Bay, band Glass Towers are at the vanguard of a new wave of Australian artists who are creating waves internationally and at home via a very Australian brand of sun-drenched melodies and material which carries a deceptive undercurrent of depth and weight. For such a young band, their debut album, ‘Halcyon Days’, has generated some serious noise in Australia and Japan where Glass Towers have forged a reputation as damn fine live performance, following tours with the likes of The Kooks and Metric. Hell, even Neil Finn (yes, of Crowded House fame) personally invited the band to open for his new Pajama Club project. 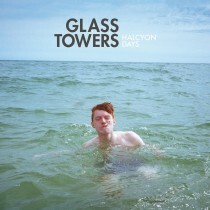 The songwriting on ‘Halcyon Days’ deals with the universal themes and struggles faced during the delicate transition from youth to young adulthood – most of the songs written by lead singer Ben Hannam when he was still in his early teens, and forged into existence with a newly formed band of High School friends. Glass Towers list of influences runs deep. From the literary genius of Jack Kerouac to the madcap mind of Syd Barrett and effortless cool of Lou Reed. From a childhood raised on a somewhat oddball mixture of Neil Diamond, Roxy Music and Simon & Garfunkel, to the paintings of J.M.W Turner and photographs of Robert Doisneau – all can be heard across the stunning debut album. HALCYON DAYS was released to critical acclaim in Australia and Japan in late 2013, winning fans and accolades such as Triple J Feature album, #1 AIR Chart Debut, Tower Records Japan Album Of The Week and Rolling Stone Award nominations. 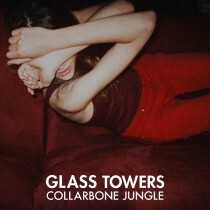 The album will be released in the US and Canada in 2014 via Dine Alone Records (where label-mates include the likes of City & Colour and Tokyo Police Club) and Glass Towers will continue to do what they do best – bringing their music to the World one amazing show at a time, taking no prisoners along the way.